A man has appeared in court accused of making an improvised explosive device in his home with intent to endanger life. 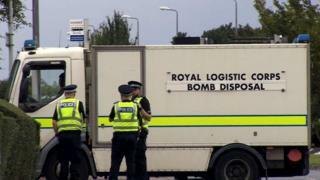 Houses were evacuated in Dundee last Thursday after bomb disposal officers were called to a property. Alan Peach, 30, made no plea when he appeared in private at Dundee Sheriff Court on four charges. He was remanded in custody. A device was found during a search of a flat in Carlochie Place and removed.